Macallan Millennium makes £25,000 at McTear's! 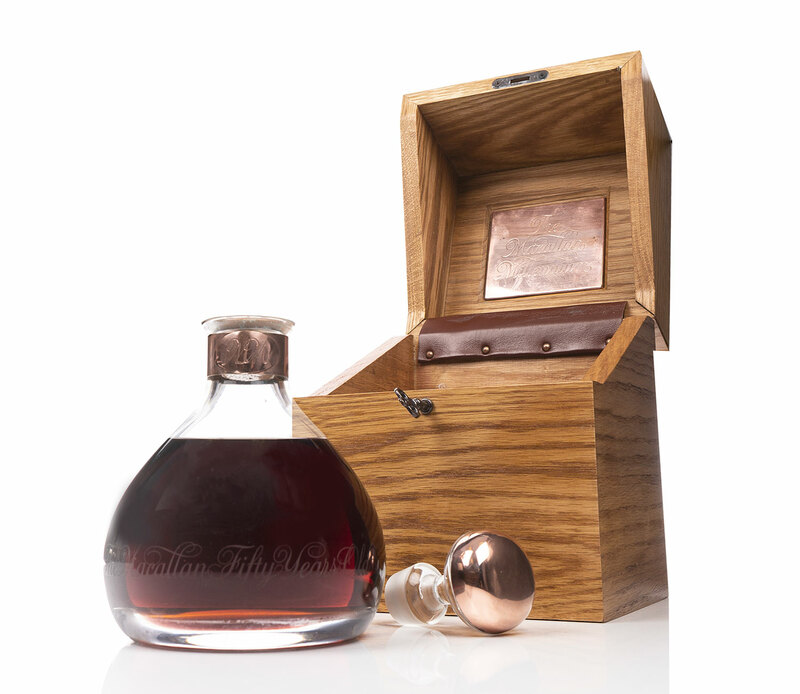 One of the most luxurious Macallans ever produced fetched £25,000 (hammer) in today’s Rare & Collectable Whisky Auction at McTear’s. On 14 January 1949 something truly special was created. Macallan filled a small number of sherry casks with their spirit, which would be left to slumber for 50 years. Fast forward to August 1999, preparations were being made for the potential ‘Millennium Bug’, wreaking havoc with computers and electronic devices, and celebrations were being planned for the dawning of a new millennium. It this occasion that prompted Macallan to awaken the spirit, remove it from the casks, and fill it into 900 Caithness glass decanters. As driven corks were used, a copper-covered stopper has been provided to use after the bottle has been opened, with copper also around the neck of the bottle. This exquisite package is finished off with a wonderful lockable hardwood box. The lot attracted much pre-auction interest and saw bidding from around the globe, with the hammer finally falling to an online bidder in Hong Kong.